The four-million years of erosion on Kauai have etched out the lava into a spectacular canyon in the middle of the southwest side of the island. The record setting annual rainfall continues carving new shapes. 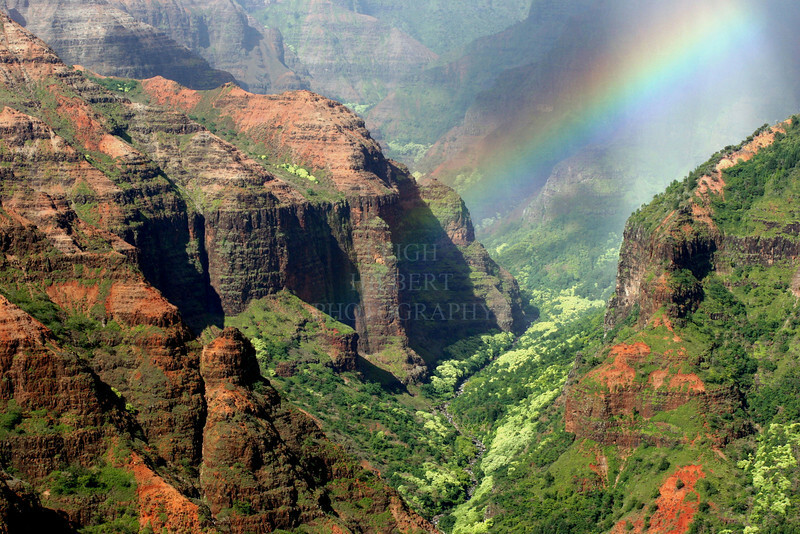 Kauai's longest river of 19-miles runs in this valley bottom.